Can our roads help make the world greener? The next time you go out for a drive, take a closer look at the road which your vehicle is traveling on. Just how do you think it will be able to help turn the surroundings into a less polluted environment? 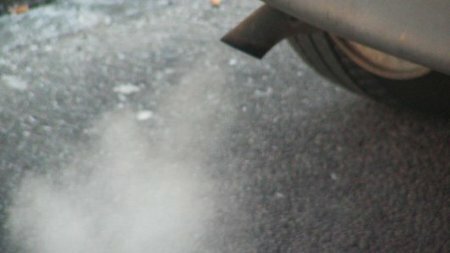 Well, we do know that carbon emissions from vehicles is a big issue these days, not to mention a slew of other airborne nasties that spew from the tailpipes of fossil fuel-powered vehicles. Among these will include nitrogen oxides (NOx), and when it reacts with chemicals produced by sunlight, nitric acid is formed, making it one of the major constituents of acid rain, which when in turn reacts with sunlight will turn it into the formation of ozone and smog. As for us humans living in high traffic areas, we are constantly bombarded with higher amounts of nitrogen oxides in ambient air which could potentially cause damage to respiratory airways. How to combat such a dilemma? The answer lies in surfacing roads with air purifying concrete, resulting in a reduction of the concentration of nitrogen oxides by 25% to 45%. The municipality of Hengelo, the Netherlands, managed to get researchers at the Eindhoven University of Technology (TU/e) to resurface around 1,000 square meters of the busy Castorweg Road with said air-purifying concrete paving stones, whereas another area of 1,000 square meters was surfaced with normal paving stones. It goes without saying that the former concrete contains titanium dioxide, a photocatalytic material that will do its bit to remove the nitrogen oxides from the air and convert them into harmless nitrate using sunlight, where the resulting nitrate will then be rinsed away by rain. Following a trio of air-purity measurements on the Castorweg last spring, (meaning the testing went on throughout fall and winter), the area paved with air-purifying concrete the NOx content was found to 25% to 45% lower than that over the area paved with normal concrete. We wonder whether future measurements planned for the year will result in a widening gap. Who would have thought that our roads could potentially be a life/environment saver, eh? Cost isn’t much of an issue either, since the air-purifying concrete uses 50% more expensive than normal concrete stones, but the resulting road-building costs are just 10% higher.